The Double H Ranch celebrated the completion of a $3.5 million capital campaign and the construction of the new Riggi Family Raccoon Cabin in June. The first capital campaign undertaken in the camp’s 26-year history, $3.5 million in donations was raised from the community. The gifts provided the Double H Ranch the opportunity to renovate two camper cabins and construct a new camper and medical volunteer cabin. In addition to money raised for the capital campaign, the Double H Ranch raises $3.8 million annually for camp operations. The previously vacant land at 120 Luzerne Road in Queensbury will soon be converted into a new set of industrial buildings and warehouses. Bielecki & Sons Development, a family-owned construction company based in New York City, has plans for the unused 12.9 acres to be developed into nearly 50,000 square feet of light manufacturing space. The site will also include loading docks and 180 parking spaces, with landscaping and modern lighting fixtures planned for the surrounding property, company officials said. The owners of Yankee Boating Center plan to expand with the purchase of this Gilchrist Marina property in Diamond Point. Extensive renovations will be done to the marina and hotel. The Brodie family is expanding their Yankee Boating Center through the purchase of the Gilchrist Marina. Brothers Andrew and John Brodie closed recently on the purchase of the marina and hotel for $2.48 million. The property is on Lake Shore Drive in Diamond Point, just one mile south of their marina and boat rental business in Bolton. Andrew Brodie said having the businesses close together will allow them to offer more boating services and options to both current and prospective customers. He said they thought about expanding in Lake George for a few years and were waiting to see if the right opportunity came along. Stewart’s Shops has plans to replace several existing shops in the area with larger, more accessible venues. Generally, these new shops enable better indoor flow to improve customers’ shopping experience and expand food service options, according to Maria D’Amelia, public relations specialist for the company. New construction includes a shop at Route 28 and Durkin Road in North Creek. The company is seeking site plan approvals. Construction start is anticipated in June and could be completed in October. Another new shop is planned at 977 Route 149 in Queensbury. The company is seeking site plan approvals and construction is expected to start in the second quarter of 2018. The proposal is for a 3,695-square-foot store with a canopy that will have four islands for pumping gas. Other shops being replaced include two locations on Route 146 in Clifton Park, one starting in late July with completion anticipated around Labor Day. Construction of the second is expected to begin in September. Construction of a store on Route 67, Charlton, could be completed in late September. Construction of a shop on Saratoga Avenue in South Glens Falls is expected to begin this summer. 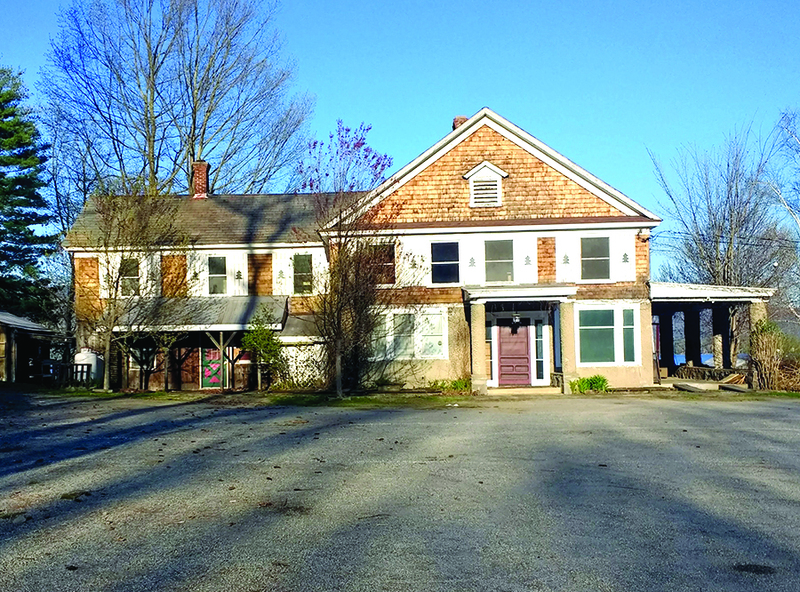 Another on Broad Street in Schuylerville is awaiting approvals. 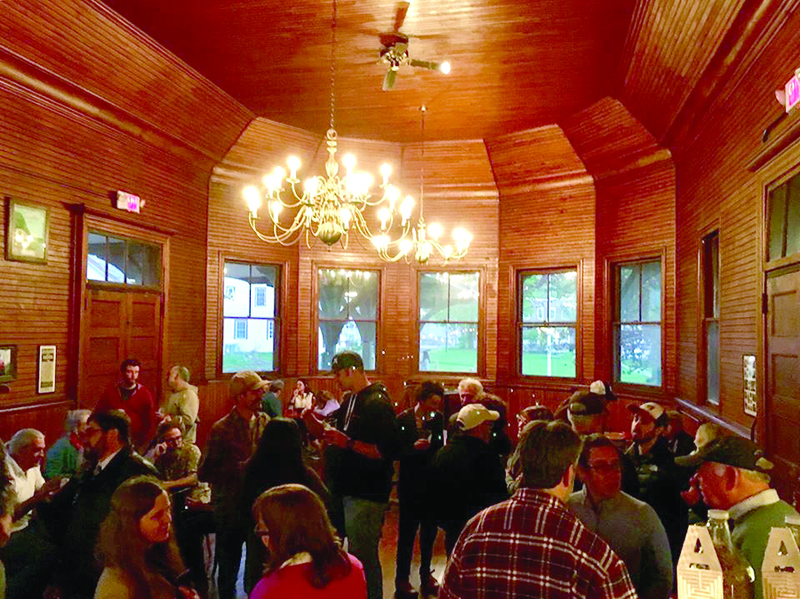 This crowd gathered at the new taproom opened by the Argyle Brewing Co. on May 6 at the former railroad train depot building in Cambridge. It is the brewery’s second taproom. Matt Stewart and his business partners Chris Castrio and Rich Thomas are continuing their quest to make “farm-to-glass” beer something that more and more people can enjoy. They just opened their second Argyle Brewing Co. taproom in May at the former Cambridge train depot, 6 Broad St., Cambridge. Stewart said the character of the station was an instant selling point for him. He also has a sentimental tie to the spot. “I was married in the Railroad Museum of Pennsylvania in Strasburg, Lancaster County, so I took it as a sign,” said Stewart. The location is part of a partnership with Hubbard Hall, who Stewart said approached him and his partners with the idea. He said they weren’t quite ready to open a second location, but they fell in love with the character of the space and thought it would be perfect. He said they hope to eventually have five locations. Cambridge is the second. The other is in Greenwich at 1 Main St.
“At first our heads were spinning, but it’s been good. It ended up being good timing,” said Stewart. The 2,000-square-foot Cambridge spot can seat up to 67 people inside and 56 outside. Despite the new location being larger than the Greenwich location, all of the processing part of the brewery is done in Greenwich. They have seven ales and two ciders on tap in Cambridge, all with a flavor that Stewart said is unique to the area. Work has resumed on a project to replace the Route 4 (Main Street) bridge over the Glens Falls Feeder Canal in the village of Hudson Falls. The existing Route 4 Bridge was built in 1931 and carries approximately 9,400 motor vehicles per day, New York state officials said. The project, scheduled to be substantially completed this fall, is part of Gov. Andrew Cuomo’s $542 million Empire Bridge program. The Empire Bridge program, administered by the state Department of Transportation, is replacing 100 aging bridge structures across the state. Officials said the new bridges will be more resilient and better able to withstand flooding. Traffic has been maintained on Route 4 in both directions during construction, which began last year and is being conducted in phases, with one half of the bridge being replaced at a time. The southbound side of the bridge was replaced in 2016. While the northbound side of the bridge is replaced this year, traffic in both directions will use the newly replaced southbound side. Pedestrians and bicyclists will use a temporary bridge installed in November, just west of the Main Street Bridge. The work is part of a $20.7 million design-build contract to replace five bridges. DOT officials said design-build allows for the combining of design and construction services into single contracts to help expedite work to vital infrastructure to save taxpayer money. A parcel on Saratoga Avenue in South Glens Falls will be the site of a two-story mixed use building that will include two apartments and commercial space. Construction is expected to start this fall or early winter, said Joe Leuci of Foothills Builders in Queensbury. Leuci said he jumped on the opportunity because of its good location. The project is still awaiting its final approval from the village. “It’s in a spot that sees a lot of traffic,” said Leuci. Leuci said in addition to the steady traffic, another positive is the availability of on-street and off-street parking. “Business always want to have ample parking, and this has it, “ said Leucci. Valente Builders Inc. of Hudson Falls is working on construction of a three-story, 27-unit apartment complex for senior citizens on Bay Road in Queensbury. Apartments will vary between 1-3 bedroom units, according to Daniel Valente. He said amenities will include a community garden, an outside area for recreation, a fire pit and walking paths within the subdivision, enabling seniors to walk without being on the main road. They will also be able to otherwise congregate and foster community. Valente, recently retired from the company, where he served as president said that there’s a real need for “in-between, transient homes” for snowbirds during the warmer months, with a maintenance-free living style. It is a particular need in the Lake George and Queensbury area. “It’s a great place to get away from the hustle and bustle down south. It’s not far from Saratoga,” Valente said. The site plan is designed and construction is expected to begin soon.